Last minute shopping and shipping. Presents are being wrapped. Food prepared and an extra touch of cleaning to ready our homes for our guests. All is being prepared… but is our soul ready? 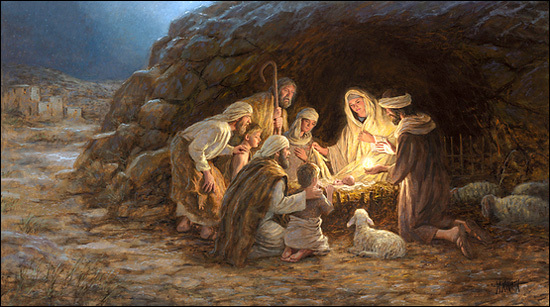 The expectancy of the birth of Christ was to a people waiting after 400 years of silence. No prophet spoke a word of prophecy. No sign given. Silence. First, it was Elizabeth. Then, young Mary. Both were visited by God’s angel carrying the message of Messiah’s birth. Elizabeth’s baby was the prophesied forerunner who would make the way for Jesus to come. As word was passed down among the generations, the sense of urgency must have waned. But as the events began to happen, it wasn’t at all as they had expected. Pregnant before the consumation of marriage was hard to explain. The miraculous signs that led Mary and Joseph through Jesus’ birth; their flight from Bethlehem to Egypt and years later to Nazareth. Listen for Him today. Is He evident in the songs we sing? The morning sermon? Your Sunday school class? Are we thinking how to best bring up Jesus to our unsaved loved ones when we gather tomorrow and Christmas Day? If we do not prepare, the smallest of windows of opportunity could go unnoticed. It is His birthday we are celebrating after all…!